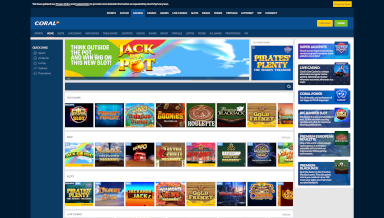 Coral online casino started off as a sportsbetting site, and today they have expanded into different online gaming fields, with an impressive casino, live casino, bingo-section, lotto, poker and everything else you could possibly want from an online gaming paradise. In this Coral Casino review we will take a look at all the different aspects of the site, so that you know exactly what they have to offer. Coral Casino UK was established in 2002 and it is owned by Gala Coral Group Ltd Casinos. Today they operate with licenses from both Gibraltar Regulatory Authority and UK Gambling Commission, meaning that it is a secure and reliable site for British players. Coral Casino are very generous and actively give out exciting bonuses with regular promotions across the different sections of the site. Regardless of what types of games you are mainly focused on, there is are active Coral Casino bonuses with your name on it. Visit their promotion page to see all available Coral Casino bonus codes and promotions today. New players are welcomed to Coral Casino with a £50 welcome bonus! Just sign up, stake a minimum of £10 on selected Casino and Slot games, then you will get £50 credited to your account. Use your bonus money on selected games, including Premium European Roulette, Fishin’ Frenzy, Big Banker and Rainbow Riches. This bonus can also be used on Coral Casino mobile. Bingo players are offered a unique welcome bonus. Just spend £5 on Bingo to receive a Bingo bonus of £25. To access this bonus offer you just have to create an account, and spend a minimum of £5 cash on bingo tickets. You will get your bonus of £25 immediately, that you can use to enjoy the Bingo rooms even more on Coral Casino. The poker players can also get something extra out of joining the poker rooms at Coral Casino. Download the Poker software to enjoy this bonus and get £20 worth of tournament tokens when you deposit a minimum of £5 to the Poker client for the first time. In addition to this welcome bonus, every £10 of your first deposit with Coral Poker gives you a pending bonus of £10, up to £200. 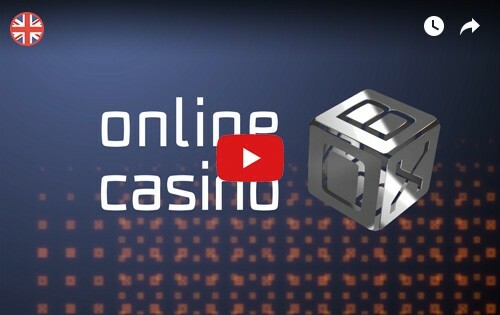 This casino offers games from many software developers, including leading brands like Playtech, NetEnt, Ash Gaming, Cryptologic (WagerLogic), Virtue Fusion, IGT (WagerWorks), WMS (Williams Interactive), NextGen Gaming, OpenBet, Mazooma Interactive Games, Blueprint Gaming, Barcrest Games, Quickspin and Red Tiger Gaming.  This modern gaming site has all necessary features and functions available to its customer. Enjoy quick and secure payments, smooth navigation and professional customer support at Coral Casino. 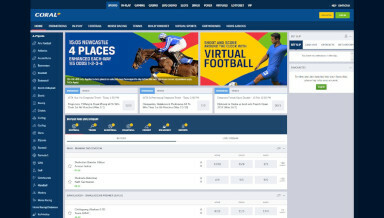 Navigate the site with different sections for Sports, Casino, Gaming, Live casino, Bingo, Poker, Virtual gaming and Lotto. They offer lots of choices for a different types of players and they always make sure to have the latest releases available. 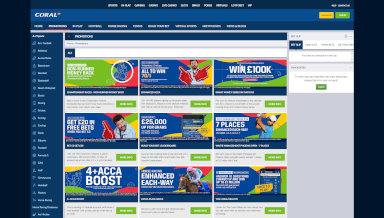 Withdraw your winnings with Visa debit, Maestro, Visa, MasterCard, PayPal, Skrill, Neteller, ecoPayz or bank transfer. 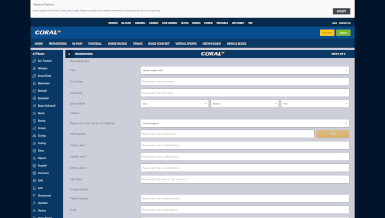 Your Coral Casino withdrawal is quick, smooth and secure. For deposits you can also use Paysafecard, which is an anonymous and safe way to use for deposits online. Coral Casino offer customer support via live chat, Twitter, phone and e-mail. There is also a FAQ-section available which is very helpful if you have any general questions. With one single account you can enjoy Coral Casino across all major platforms and devices. Simply login wherever you are and enjoy your favourite games, make deposits and withdrawals on your desktop or mobile and feel completely free when you play at Coral Casino. All bonuses and promotions are active across all devices. There is not much to complain about here, although there are a couple of leading software providers missing. It does not matter, since there is so much to enjoy at Coral Casino, and we always discover something new and interesting. It is easy to navigate, so although the design is a bit dry, it is very practical and it creates a smooth experience. We can recommend Coral Casino for British players, because it is a secure, entertaining and offers lots of proper winning opportunities.